BUENOS AIRES, Argentina — Argentine authorities say they've found the remains of two missing sisters and have arrested the son of one of them. Autopsy results released Sunday showed that at least one of the two had been shot. The bodies of 63-year-old Pirhya Sarussi of Israel and 54-year-old Israel-born Australian scientist Lily Pereg were found Saturday on a lot beside the home of Gilad Pereg near the city of Mendoza, according to prosecutor Claudia Rios, who confirmed the 36-year-old son of Sarussi was arrested on homicide charges. 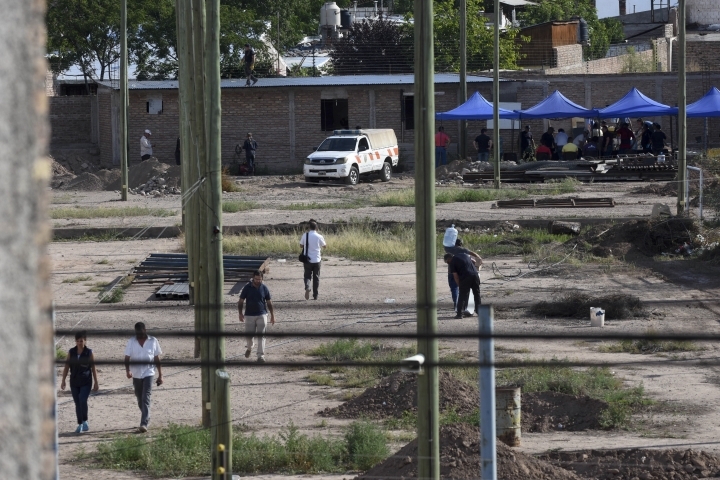 The local newspaper Jornada said authorities hadn't yet determined which of the bodies belonged to which of the victims, but it said one had received three gunshots and the other showed signs of being dragged. The two women vanished about two weeks ago, and colleagues of Dr. Pereg opened a GoFundMe page to raise money for a search. The Sydney-based University of New England said Pereg was a microbial ecologist with a 25-year research experience in plant and soil microbiology. She chaired the soil, microbiology and biodiversity subdivision of the European Geosciences Union.